Lewis Hamilton, the reigning Formula One world champion, does not subscribe to the creed of the Catholic charismatic group that I belong to. I’m a member of the BCBP. Spelled in full, it’s the Brotherhood of Christian Businessmen and Professionals. 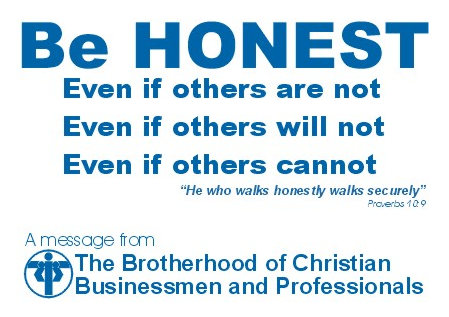 Founded by a group of Makati businessmen in 1980 (we will be 29 years old this month), the main advocacy of the BCBP can be summed up in two elementary—yet difficult to follow—words: Be Honest. BE HONEST… Even If Others Are Not. Even If Others Will Not. Even If Others Cannot. Why all this “Be Honest” talk? Because a major tragedy happened two weeks ago in F1 racing. No, thankfully, nobody crashed his red Ferrari and broke his neck and ribs—it was another type of anomaly. Here’s the Associated Press story last April 2: “McLaren’s Lewis Hamilton was stripped of his third-place finish at the Australian Formula One Grand Prix on Thursday for giving misleading evidence to race stewards. “Toyota’s Jarno Trulli was reinstated to his original third-place finish by the stewards, while Hamilton and McLaren were excluded from the results and receive no points. “The sport’s world governing body, FIA, reopened the investigation Thursday into the circumstances under which Trulli passed Hamilton during a safety car period in Melbourne on Sunday. “The hearing interviewed both drivers and teams, and heard new evidence which included radio transmissions between teams and drivers in Melbourne, as well as technical data from the race. In short, Lewis Hamilton lied. He was dishonest. Untruthful. When questioned by the FIA, he adulterated the facts so that he would finish in 3rd place. He cheated. It was a simple lie, right? Asked if he did or did not, Hamilton (forced by his team manager, according to him), said he did not—when, in fact, he did. It’s not okay. Look at Hamilton. One of sport’s most recognizable handsome faces, he could do no wrong. In his ‘007 rookie season, he almost—should have—won the F1 title. Then, last year, the Briton named after Carl Lewis became a rock star by winning the trophy—at 23, the youngest-ever champion. And now, this. This fabrication. This distortion of facts. This simple deception turned complex fiasco. This, has led to McLaren’s long-time sporting director, Dave Ryan, getting kicked out. This, has Hamilton nearly in tears when he publicly apologized. And, worst of all, this troubling story has the World Champion—never mind the £75 million left in his three-year contract—contemplating his departure from McLaren. You see, this wasn’t the first time McLaren perverted and contorted lies. Back in 2007, the team was convicted by the world racing sports body after their chief designer stole 780 pages of Ferrari technical data. McLaren was fined a mind-boggling $100 million. I suggest: Why not, for lying, uproot the entire Team McLaren from the race track and ban the squad this season? Why not direct Lewis H. to sit on his London flat’s couch instead of his Mercedes in 2009? The FIA has called for an “extraordinary meeting” this April 29 and we don’t know the outcome, but one point is clear: This is troubling and dispiriting. How one decision—not on the Australian GP race track but inside one’s brain—can ruin a race and a good name. Maybe Hamilton should join the BCBP. do you even watch F1??? coz it’s clear that you are neither a fan nor do you watch it. #1. not alll cars are Ferrari and not all cars are red and not all crashes happen to the Ferrari. You might be surprised that other teams have more crashes than Ferrari. And question, can you cite the exact event where an F1 driver crashed and broke any part of his body? Last time I checked F1 cars are built to protect the driver when crashes happen. Yes, there are fires, missing front wings, wheel or whatever but usually, the driver just walks away safe and sound. #2. I’m not a fan of Hamilton but it was pretty clear in the McLaren enquiry that he had nothing to do with it. It was all McLaren. You’d even notice that they didn’t take away his driver championship points that year, only McLaren’s. So don’t go saying that he was involved with that. Stop yapping as if you know F1 or banning Hamilton. He’s is a superb driver and he has proven that from the moment he won the first race on his rookie year. Sure there’s this mishap that questions his integrity but when it comes to driving he’s one of the best of the season. In the end, one fact is clear: Hamilton lied. that’s my point. my point is that you get your facts straight. I happened upon this blog post while searching for inspiration in this world of liars. 99% of us lie all the time. Sometimes even the simplest of things – people lie about – and it just makes me sick. Haaaay. We look at the news and the facts are distorted and spun to benefit or disparage a particular party. It’s always like that. The thing is when we tell the truth, we are often crucified rather than forgiven. I live here in the provinces and lying is pretty much a way of life. Gossip, rumor mongering, even the sari sari store owner lies! In a world of lies, why should we tell the truth? In a world when telling the truth means getting murdered, why should we tell the truth? I hope that I am not a solitary voice asking this question, but I’d really like to know.